We knew Warner Bros. was putting Batman in the sequel to MAN OF STEEL. We knew he probably wouldn’t be played by Christian Bale again. And as much as I appreciate how Bruce Wayne figured out a way to live happily ever after while still ensuring the immortality of Batman at the end of THE DARK KNIGHT RISES, I’ll never make peace with what I feel to be the film’s sloppy execution, disappointing predictability, and abysmal treatment of Gary Oldman’s Jim Gordon. That’s why I hoped we’d get to see Bale don the cowl again, and I spent a lot of time daydreaming about a plot that would allow Bale to continue as Batman without taking anything away from RISES’s ending. You can still say that Bruce Wayne let go of the pain and the guilt and the grief that bound him to Gotham City. You don’t even have to remove Joseph Gordon-Levitt’s Robin J. Blake as Gotham’s new protector. But when flying space people arrive and level a major city, Bruce could come forward to be Batman again on his own terms. Not because he’s driven to. Not because he feels he has to. But because he wants to. Because he knows how to create a symbol, and he knows he can mentor Superman to be not just a heroic symbol of inspiration for one city but a beacon of hope for the whole world. It would have been beautiful. It would have made the most sense, and it would have made the most money. Seriously, adding Bale’s Batman to a Superman movie would have guaranteed at least a billion in box office and would easily have given THE AVENGERS: AGE OF ULTRON and STAR WARS EPISODE VII some serious competition. But it wasn’t meant to be, and it’s probably ultimately for the best. I can still use my imagination to wonder what’s up with Bale’s Bruce Wayne as he builds a new life for himself. After all, a man who’s lived such an extraordinary life can’t avoid adventure forever. And so began the search for a new cinematic Batman barely a year after Bale’s final installment broke yet another billion. Early talk of Jon Hamm and especially Jim Caviezel (who was my favorite for the role before Bale came on board) excited me, but those rumblings gave way to a lesser list of names that didn’t come remotely close to passing my admittedly impossible muster when it comes to this character. Which is why I was shocked when Warner Bros. made a surprise announcement tonight that Ben Affleck — whose name had been mentioned as someone who was in the age range they were looking for but not one of the names reportedly in contention — has been cast as the new Batman. BURBANK, Calif.­­ — Ending weeks of speculation, Ben Affleck has been set to star as Batman, a.k.a. Bruce Wayne. Affleck and filmmaker Zack Snyder will create an entirely new incarnation of the character in Snyder’s as­-yet-­untitled project — bringing Batman and Superman together for the first time on the big screen and continuing the director’s vision of their universe, which he established in MAN OF STEEL. The announcement was made today by Greg Silverman, President, Creative Development and Worldwide Production, and Sue Kroll, President, Worldwide Marketing and International Distribution, Warner Bros. Pictures. Last month’s surprise announcement of the new movie featuring both Superman and Batman created a wave of excitement and immediately fueled discussion and debate — among fans as well as in the media — about who would put on the cape and cowl of Bruce Wayne’s alter ego. Snyder successfully re­imagined the origin of Clark Kent/Superman in the worldwide blockbuster MAN OF STEEL, which has earned more than $650 million worldwide to date, and climbing. The director will now create an original vision of Batman and his world for the film that brings the two DC Comics icons together. Affleck will star opposite Henry Cavill, who will reprise the role of Superman/Clark Kent. The film will also reunite MAN OF STEEL stars Amy Adams, Laurence Fishburne, and Diane Lane. Affleck recently starred in the Academy Award®-­winning Best Picture ARGO which he also directed and produced, earning acclaim and a BAFTA Award nomination for his performance in the film, as well as a number of directing honors. In 2010, he starred in and directed the hit crime thriller THE TOWN. His recent acting work also includes THE COMPANY MEN, STATE OF PLAY, and HOLLYWOODLAND, for which he received a Golden Globe nomination for Best Actor. Earlier in his career, Affleck starred in and co­-wrote (with Matt Damon) GOOD WILL HUNTING, for which he won an Oscar® for Best Original Screenplay. The new Super Hero film is being scripted by David S. Goyer from a story he co­-created with Zack Snyder. Charles Roven and Deborah Snyder are producing, with Benjamin Melniker, Michael E. Uslan, and Wesley Coller serving as executive producers. I’ve long been an Affleck supporter, giving him strong reviews for films like THE SUM OF ALL FEARS and PAYCHECK over the years, but his recent directorial output (from GONE BABY GONE to THE TOWN to the truly remarkable ARGO, which is a love letter not only to human courage and ingenuity but also to movies) has taken him to an entirely higher level of star power and storytelling. And while the Superman/Batman film will be Zack Snyder’s show, expect heavy input from Affleck in the creation of the new Batman, especially since he’ll probably end up directing himself as Batman in a solo movie down the road. So, yeah. I wanted Bale back. 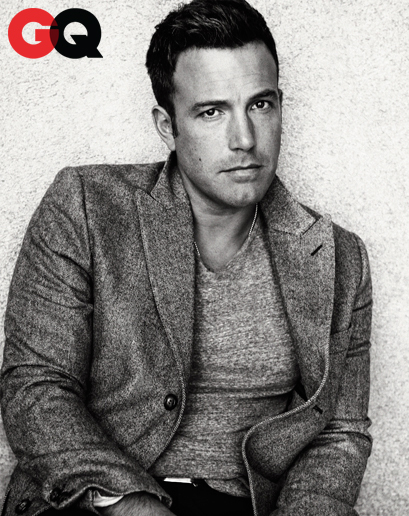 But Affleck’s no consolation prize. He’s a power player who brings numerous talents and absolute vision and focus to the table. We’re lucky to have him, and I wish him the best. And you just know that the new Batman costume is going to look awesome. Stay tuned! Check out this fascinating timeline of the deal from The Hollywood Reporter. I really didn’t care for Man of Steel, I can’t stand “Batman vs. Superman” stories, but Affleck’s involvement actually has me interested now… so the news had the opposite effect on me that it did everyone else. lol The reaction to this was soooo over-the-top though and kinda made me embarrassed to be a fan (which is why I made that video that was on BOF, “A Quick History Lesson…”). Affleck’s a great choice and I’m really excited for new cinematic Batman! Alexander! Jett emailed the video to all of the BOF writers, but I didn’t know YOU made it! That’s AWESOME! And thank you. That means the world, man. I struggle with RISES. Some days it’s okay, some days it kills me. But I do think it’s sloppy compared to the other two, even though I love the idea of Bruce winning while still making sure there will always be a Batman. It’s a beautiful notion. I’m with you — I don’t want a fight movie. I want something fun and exciting. I liked MAN OF STEEL but I think it’s way too serious, and I’d love to see the sequel do something more fun and exciting and comic booky. All this “Vs.” talk makes me nervous, but I have total faith in Affleck. He’ll be awesome. That’s my only real criticism of Rises, it’s kinda sloppily edited compared to the previous two. I know the rumours of there being a 3 or 4 hour cut aren’t true, but I think the film could’ve benefited from a little bit more room to breathe. A lot of the scenes felt like the beginning and the end were chopped off, but emotionally the film just hit me in the right spot at the right time in my life. My problem with “Vs.” stories, and actually *most* Batman/Superman team-up stories is just that usually it ends up with both characters getting pulled to the extremes of their archetype and they cease to be the well-rounded individuals they are in their solo stories…That plus they claim to be drawing influence from The Dark Knight Returns, which makes no sense because that fight was the culmination of their decades-long relationship. As far as we know, in this universe, they’ve never met… so it’s a really peculiar story to pull from. I realize them being chummy and getting along can get into SuperFriends territory pretty quickly, but I like when heroes get along without having to duke it out first.